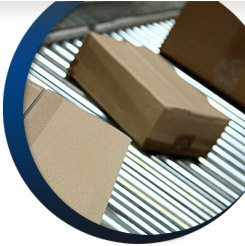 The complete package of fulfilment services is available from wetakeyourcalls.co.uk. Information lines and customer order lines are complemented by being part of fulfilment and mailing specialists Carrier Direct Marketing. From our North Devon Call Centre, your data can be translated into brochure and product mailing. Combining sorting in excess of 200 clients' mailings on a daily basis means we attract significant Royal Mail postage discounts which we pass on. This discount makes a significant contribution to your telemarketing costs and in some cases makes the process cost neutral! Fully mechanised enveloping or hand packing service for direct mail and day to day mailings. 40,000 square feet secure and insured warehousing. Unique postage discounts available on day to day mailings of brochures and literature. Historically Sunvil had always dealt with brochures in-house but following recent price increases with Royal Mail, we were delighted to find that it was less expensive to despatch through The Carrier Group, even taking into account fulfilment costs. Dealing with The Carrier Group is very simple, they provide a professional service and are extremely competitive on price. We look forward to continuing this working relationship for the foreseeable future. If you'd like more information on brochure and mail order fulfilment or any of our phone answering services, please Contact Us or call Freephone 0800 198 1010.